Mediterranean home styles & designs have remained popular throughout the years, and are particularly favored in California and Florida where the warmer temperatures allow for the leisurely enjoyment of the open indoor and outdoor spaces that the design exhibits. The appeal of the design has always been it’s timelessness. 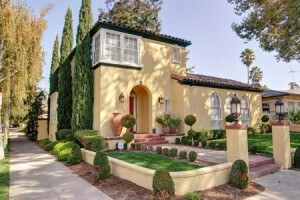 Mediterranean homes evoke a sultry sense of romance and luxury, which will hardly ever go out of style. Traditionally, the Mediterranean style of home design was inspired by the seaside villas of Spain, Italy, Greece, and France. Mediterranean home styles & designs are interesting as they can be described as both grand and warm at the same time and as expansive as most of these homes may be. The general influence of the sea provides the much needed warmth to make the design comfortable as a living or vacation abode. 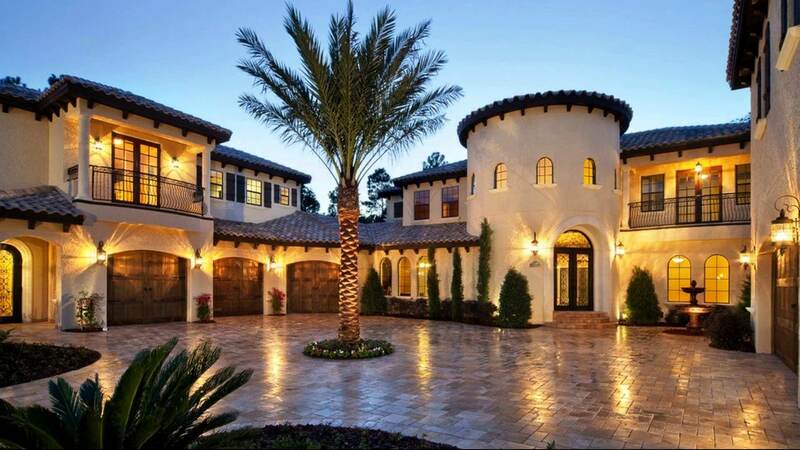 Generally, Mediterranean style exteriors are characterized by low-pitched tile or terracotta roofs, stucco walls, wrought iron accents, large windows, balconies, and courtyards. Adequate outdoor living spaces are essential to the design. 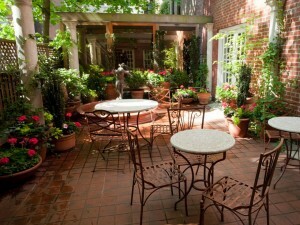 Some homes opt for elaborate garden landscapes or fountains, while others have spacious patios or porches. In terms of the interiors, Mediterranean homes are known as being airy, with good circulation often being a nice consequence to the design. The classic design accents for these homes include columns, elaborate ceilings, and dramatic archways. Mediterranean homes are, however, not always grand and dramatic. The same general elements given above can be translated into simpler lines and décor. Homes such as these will turn out earthier and homey. The warmth, beauty, and timelessness of the Mediterranean design will be a constant, even at this restrained state. When it comes to interior decorating in the Mediterranean style, interpretations can go any which way depending on personal tastes. Keep in mind the sky, sea, and earth for the color scheme. Lavender and yellow shades are also acceptable. Large furnishings are essential to the design. Include heavy ornaments such as iron and brass into the furnishings and interior accents. Texture is important for walls and floorings. Walls can be roughly painted or sand-textured. And the floors may bear elaborate tile designs in intricate patterns. Bringing nature into the home through plants, murals, and general décor can tie the outdoor space to the interior space skillfully. Before settling on a particular Mediterranean home styles & designs idea, be sure to research and check the many options available. This is a design that allows for maximum creativity and customization. And as long as the general characteristics of the theme are factored in, the design outcome can become be as beautifully unique as a client can imagine it to be.